Michelle Obama is currently visiting China on a state-sponsored tourist junket to see the Great Wall and patronise some ‘minority’ areas. The Chinese government informally stated (ie insisted) they are delighted to host Mrs Obama as long as she doesn’t say anything ‘political’ (e.g. anything about respecting basic human rights). Before Obama’s visit, Chinese officials held top-secret meetings discussing how they could hoodwink Mrs Obama into becoming yet another victim of their re-education campaign on Tibet. Part of the plan involved a highly orchestrated trip to a ‘Tibetan’ restaurant in Chengdu (i.e. Tibet), where the first lady was served Yak meat by some smiling people in Tibetan dress holding Tibetan scarves. 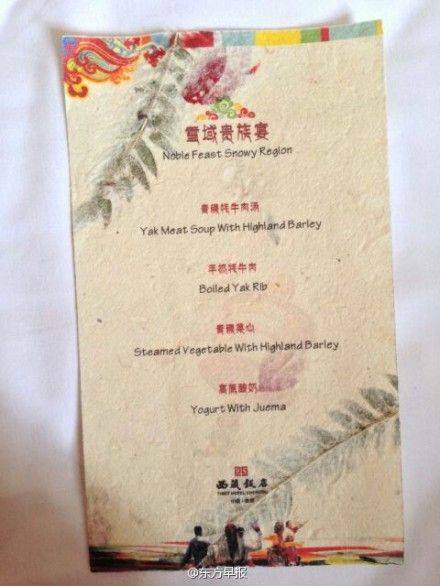 The hotel where Michelle Obama ate her Tibetan meal is proud of its background, as its website (http://www.th-hotel.com) states: “The Chengdu Tibetan Sky Lake Hotel (成都西藏天湖宾馆) hotel was established in 1956 as the No. 2 Guest House of the Representative Office of the People’s Government of the Tibetan Autonomous Region.” It goes on saying former President and Communist Party Secretary Hu Jingtao visited the hotel in 1990 when he was the party secretary of Tibet. Hu and four other senior Chinese Communist Party leaders last month were given Interpol arrest warrants by Spain’s National Court on charges of “genocide, torture and crimes against humanity”. Hu was the party secretary in Tibet in 1988-1992 and ordered some of the bloodiest crackdowns in Tibet’s history. Does the First Lady know that? The Chinese government were reportedly relieved that Mrs Obama did not express any desire to visit the black ‘minority’ community in China. ‘It’s easier to pass off a Chinese person as a Tibetan than ‘blacking one up” stated one Chinese official. When Mrs Obama made the faux pas of asking why the menu of the ‘Tibetan’ restaurant was written in Chinese and English, instead of Tibetan, a government official snappily retorted that the first language of Tibetans is Mandarin Chinese and always has been. 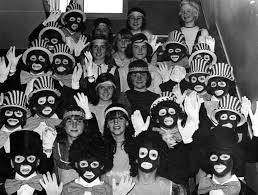 Although no ‘blacking up’ was required for this propaganda stunt, the Tibetan restaurant photo op was just as offensive and racist. Whatever will the Obamas do next? Perhaps a full Crimean banquet with Putin is next on the agenda. It’s enough to make anyone want to vomit all that yak meat up.